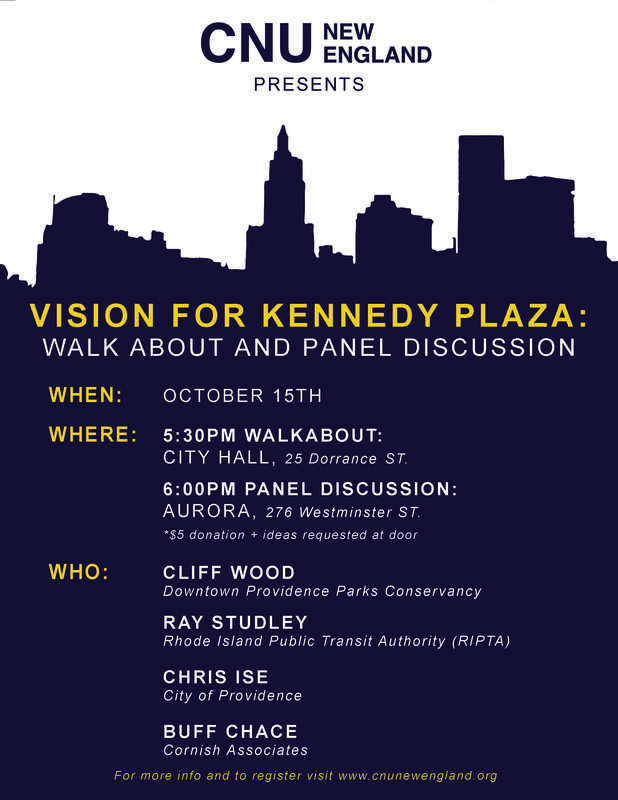 Congress for New Urbanism’s New England chapter is having a walkabout and panel discussion on October 15th at 5:30pm in front of Providence City Hall to discuss the present design of Kennedy Plaza and the future goals for it moving forward. All are welcome. Details in the attachment. This entry was posted in News on October 1, 2014 by rhodeislandasla.